Posted on November 12, 2018 by Smorgasbord - Variety is the Spice of Life. I am going to start the Christmas book promotions with children’s books, as most are in print that are posted and therefore require a longer lead time. There are many talented authors in the bookstore who write for both children and adults and if that is the case I will also include the covers and the Amazon author page for you to explore their books further. Ulrike knows all about the Winter Solstice celebrations of the giants, being one himself. But what he doesn’t know is why the humans cut down whole trees, only to take them home to decorate. Other giants tell him to forget about it, but Ulrike is curious; he needs to know why they do it. Finally, when he’s puzzled over it so much his head is sore from all the thinking, he decides that this is the year he’ll figure it out, and risks a return trip to the home of the last family he watched to look for clues, despite almost being spotted last time he was there. That’s how he meets Billy, a friendly little boy who loves stories, and is happy to tell Ulrike all about tree decorating, and Santa Claus, along with a couple of stories he knows about them. Stories which Ulrike loves, and which inspire him to add some of what Billy says are Christmas celebrations to his own this Winter, in the hopes that Santa Claus will visit him too. Victoria Zigler writes the most delightful stories and poems for young children. This collection of poems is very appealing and teaches children about the lovely animals in Victoria’s household of pets including degus and chinchillas which, I think, are less well known pets. This book features the same little degus that characterise Victoria’s other children’s books about these interesting creatures and I enjoyed meeting them again and learning more about their funny little habits and relationships. I listened to the audio book of Puppy Poems and Rodent Rhymes, narrated by Carol Weakland and I thought she did a great job. Her reading voice is lovely and clear which is important for young children. The next author’s books feature a wonderful parrot who travels, has adventures and often shares an important social message and would delight any child this Christmas is Jann Weeratunga’s seasonal stories – Polly’s Hogmanay Holiday. Polly the Parrot, Captain Hake and the crew of The Thistle take a short break in Scotland before they resume the search for Polly’s friends in Africa. The pirates get to meet the street children and their lives are changed forever. And who is Red? The next book which would make a great gift for children or grandchildren who love adventure stories and is from from award winning children’s author Janice Spina… It is the second book in her series Abby and Holly: Unfortunate Events. Abby and Holly are cousins who are more like sisters. They enjoy doing everything together. Holly lives with Abby and her family in a haunted Victorian. Holly must deal with some difficult decisions in her family when unexpected and unfortunate events come to pass. As with all of Spina’s children’s books, Unfortunate Events teaches life lessons such as respect, kindness toward others, and the importance of being polite. 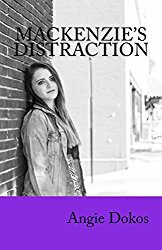 This book concentrates on handling the unexpected and overcoming life’s disappointments. The unexpected was Holly’s mother’s illness and hospital stay. With the love of her extended family, Holly was able to cope with her worry for her mother. Disappointment was addressed when her father announced that he was flying out to finish his work overseas. He explained to Holly the importance of fulling his obligations to his employer. I highly recommend Abby & Holly Series Book 2: Unfortunate Events to all middle-graders, both girls and boys. The storyline is one that will keep children interested with its elements of suspense and mystery. Though there are references to a childhood crush, they are not a major component of the story and certainly not enough to deter boys’ interest. And who doesn’t love a friendly little ghost or two! As with all the author’s children’s books, this one is true to her ideals of writing books that encourage children to read while incorporating those all-important life lessons. As a book I think every parent will want their daughters and sons to read, I give Unfortunate Events 5 stars! Also as J.E. Spina for adults. 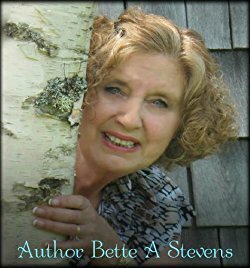 The first author is Bette A. Stevens who created the magical world of Amazing Matilda the Monarch Butterfly and it continues to delight its young readers of all ages. I think it makes a wonderful gift for any child and introduces them to the amazing natural world that surrounds them. Matilda’s determination, along with her encouraging friends the sparrow, rabbit and frog, is a lesson in going after what you want in life and never giving up. A wonderful story for children and adults, too. The illustrations were precious. I’m hoping there will be more Matilda adventures in the future. Talon Connected is the continuation of the story of a young girl named Matica and her beloved condor friend, Talon. The book recaps the problem of the poachers trying to find and kill Talon and the magical leaf that helped heal Matica’s father in the previous installment. The theme of this book is that everyone and everything is connected. Elcano, the oldest man of the Indian village, makes sure that Matica realizes this. There is not a lot of action in this book, but the message of friendship, loyalty, love, and respect is a beautiful one. This is a story that is appropriate for all ages. I hope that you have enjoyed this selection of Children’s books and there will be more later in the week.. thanks Sally. Posted on November 20, 2017 by Smorgasbord - Variety is the Spice of Life. 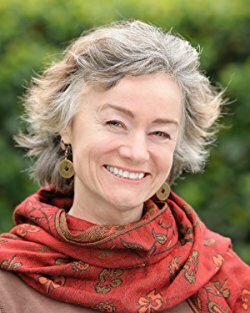 Welcome to the first author update in the Cafe this week and the first author is Victoria Zigler who is releasing another of her series in audio. Previously only available as eBooks and paperbacks, the seven books in the “Kero’s World” series are now available in audio, narrated by Giles Miller. A smashing little tale (or should that be tail since Kero loved to wag his a lot) about the author and her dog going walkies in the park and by the sea. Great for little ones (with or without dogs) – but be warned – they might want a Kero for themselves. I am giving you the main links for the series on Audible and Smashwords as not all the series are listed on Victoria’s author pages. Also available at Barnes and Noble and Kobo. The next author with news is V.L. Mcbeath with her brand new release on November 15th. Part three of The Ambition & Destiny Series: When Time Runs Out. Inspired by a true story, When Time Runs Out continues the epic saga of one family’s trials, tragedies, and triumphs as they make their fortune in Victorian Era England. A husband unwilling to change. A wife who craves a place at the business table. One of the early reviews for the book. This is another excellent read in the continuing story of a family’s trials and tribulations. Knowing it is based on a true story gives it an added interest. The various members of the family are becoming very well known and some characters are really liked while others not so! The storyline highlights the pressure on women to know their place in Society by the majority of men. This was particularly difficult for one member of the family. Although there were signs of improvement in the education of girls. It does finish on a cliffhanger so you will need to read the next book but that won’t be a hardship ! I received a copy and have voluntarily reviewed it. This is my honest review. Eden’s life is balanced… …until her soul is bound to her enemy. Three boys. Two murdered parents. One deadly choice. FIRST THOUGHTS – I have been following Sacha on her blog and social media for some time now. I’ve read and followed her through every update this book and I can’t believe the time has finally come – it is out in the world. Sacha approached me to advance read this book and I was more than happy to accept. PLOT -Keepers has the most unique plot I’ve seen in a while. The world is fleshed out to the max and the characters are super important in their own way. CHARACTERS- I loved each and every character. They all fulfilled a certain role and no talent was wasted. WRITING STYLE – This book was written in the third person limited through Eden. I felt that was a good choice for the narrator for this kind of novel. OVERALL – I don’t read a lot of science fiction or even this kind of fantasy for that matter, but I can very easily see myself getting sucked up in this world. The ending had a great twist. I’m really looking forward to the sequel. It would be great if you could spread the news about these authors books around the usual haunts.. thank you. Posted on September 25, 2017 by Smorgasbord - Variety is the Spice of Life. One of the most recent reviews for Farlander’s Law, Book Three in the Rose Shield Series. I truly believe this series will become one of the classics of Fantasy. It’s that good. Reading the book description for this book, Farlanders Law, seems confusing, but only if you haven’t read the two books before it. There is no confusion for the reader in these books – they grab you and don’t let go. Amazingly, this is done not in just a thriller sort of fashion (although there is a lot of that) but also in so many other ways – these books hit all the high points of wonderful fantasy reading and make them ring like a bell with high clear notes, over and over again. And the momentum continues on without a break into Kari’s Reckoning. Thank you D Wallace Peach for this wonderful Tetralogy. Connect to D. Wallace Peach via her website: http://mythsofthemirror.com. Another new release is the short story collection, Donkey Boy & Other Stories by Mary Smith. I have to be honest; this has been on my TBR pile for ages and I’m sorry but it was the cover that put me off; I wasn’t sure I liked it. And I’m ashamed to say I didn’t even read the blurb; the book was recommended to me by a friend so I just bought it. I should have listened to her; this is a brilliant read. Different from my usual preference but the writing style of Mary Smith is wonderfully paced; flows so well, and she tells a great story. Not only that, the reader (me!) learned a lot about Afghanistan some twenty years ago, about the culture, the society, the politics and the people. Because the author has first hand knowledge of all these; she lived and worked in the country. Next an announcement by Victoria Zigler about the availability of all her books in audio. Victoria is blind and for the millions of readers around the world who are sight impaired, audio books are vitally important..Previously only available as eBooks and paperbacks, all five books in Victoria Zigler’s “Toby’s Tales” series are now available in audio, read by the very talented Joseph A. Batzel. Toby’s old world, the one in which he could see, is gone. He has glaucoma, the kind which cannot be treated, and will remain blind. His mother tells him he will be okay, his father tells him he will be okay but Toby is upset and angry. How can things be okay when he is not able to eat without covering himself and his stuffed bear with food? How can things be okay when he cannot find his clothes or his toothbrush? How can things be okay when his brother and sister laugh at him blundering about? Toby’s New World is a very short book but gets to the root of a difficult subject: how do parents and children handle a situation wherein illness changes a child’s world. Do they smother him with love? Protect him? Challenge him? The answer is amazingly simple. This story touched my heart. I recommend it to parents and children alike. Posted on August 8, 2017 by Smorgasbord - Variety is the Spice of Life. 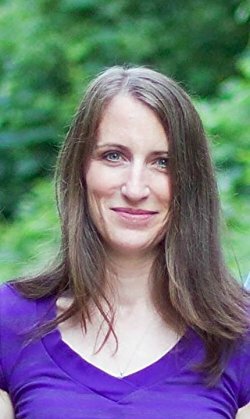 Welcome to poet and children’s author Victoria Zigler who will be joining the other authors in the Cafe and Bookstore with her book Witchlet: Book One The Magical Chapters Trilogy. In a world where everyone thinks witches are warty old women, a powerful and short tempered 9 year old is trying to find her place in the world, and make amends for something that happened when she was only 3. Her name is Paige, and she can bend the elements to her rather strong will. But can she convince people to accept her for who she is? I am the mom of an energetic toddler who is eager to explore the world around him. In addition to helping him discover all of the cool and interesting things he could learn about, one of my top priorities as a parent is also teaching him that everyone is unique and therefore different, and to both appreciate and cherish those differences. “Witchlet” is an endearing book that strives to deliver that exact message — Everyone is not exactly like you and that is OK.
Paige the witchlet is a great example of how a person’s differences and unique abilities are not an exception to be noted; rather, they are exceptional and should be celebrated. A heartwarming read for parents and kids alike! Have you ever noticed that when you hear the term ‘Witch’, you automatically think of a grey haired, gaunt-faced, warty, scary old woman who wears a black, long sleeved dress with an equally black, tall pointed hat, gets about by riding on a willow garden-brush type broom and is usually accompanied by a black cat? Paige is none of these things, she is 9 years old, has long blonde hair, dresses in normal clothes, travels by foot, or, if in a hurry, gets the wind to fly her and has a vegetarian Dragon called Daisy as a friend! This is a pleasant little introduction to the Magical Chapters Trilogy, well thought out and written in a descriptive, Hans Christian Anderson like, language children will understand and can use to allow their imaginations to take hold. Even though I am well past my sell-by date, the child in me is looking forward to reading Victoria’s next book in the series, The Pineapple Loving Dragon. A selection of other books for children. 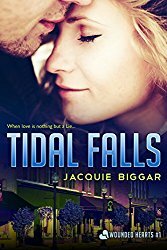 N.B.. Before the audio versions are released, Victoria would love to have some more reviews for the books and you can contact her directly via her website. Reading and writing remain my favourite things to do, apart from spending time with my husband, and our rodent gang, of course. I also enjoy doing crafts (such as card making and knitting). Plus, I dabble in things like roleplaying games (such as Dungeons And Dragons) and figure games (such as BattleTech and Monsterpocalypse) from time to time, and enjoy watching movies and TV shows as well as listening to music. On top of that, I have an interest in history, especially stone age and Egyptian history, and in space exploration. I also love almost anything to do with animals and nature. I have to say “almost” because I’m not too keen on spiders and creepy crawly things, though can pretend they don’t exist if they don’t come too close to me.